Always a participator, I have always contributed to any community I belong to – from community clean-up days in my neighbourhood, to the 2010 Winter Olympic Games in Vancouver and Whistler, to participating in the Real Estate and Development fundraising committee for the BC Children’s Hospital during her years at Cushman & Wakefield LePage. For every Real Estate transaction I do, I donate a portion of all Real Estate commissions to the Royal LePage Shelter Foundation. The Royal LePage Shelter Foundation has worked hard to put an end to abuse by contributing more than $18,000,000 since 1999 to help women and children in 200 shelters across Canada. Machu Picchu Challenge for Shelter - 2015! Royal LePage professionals from across Canada are committed to making a difference in the communities where they live and work by supporting the Royal LePage Shelter Foundation. 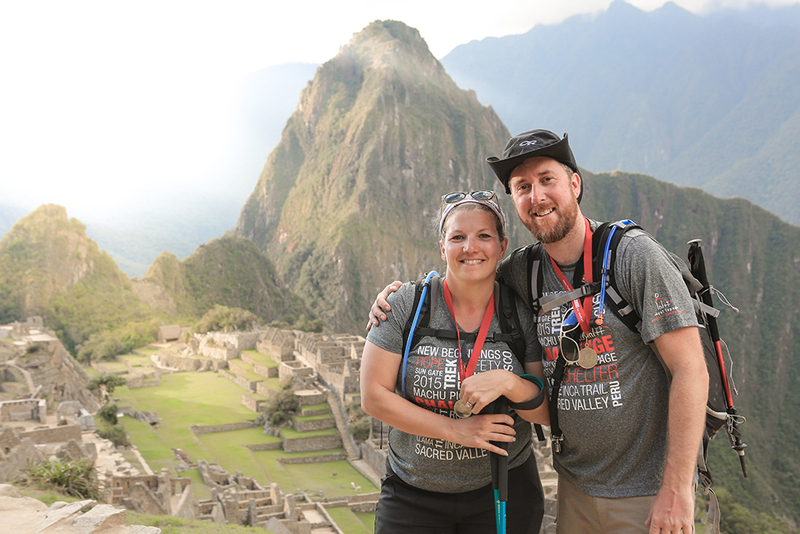 In August 2015 I joined a group of 60 colleagues to trek to the lost city of Machu Picchu, Peru in support of the Royal LePage Shelter Foundation. We were trekking to raise funds for local women’s shelters and long-term solutions to end family violence. During this 8 day experience, we were trekking at high altitude, camping in tents, and forgoing showers, electricity and cell service. It wasn't easy, but each step we took will make walking away from violence possible for abused women and their children. I am proud to say that we raised over $500,000! Iceland Challenge for Shelter - 2017! In July 2017, we will be trekking nearly 100km across some of Iceland’s most actively volcanic areas in support of the Royal LePage Shelter Foundation, and raising funds to help women and children in Canada escape abuse and rebuild lives that are safe and free from violence. For 8 days, my friends and colleagues from Royal LePage offices across Canada will be crossing difficult terrain in unpredictable weather, sleeping in tents with only 2-3 hours of darkness each night, and going without electricity and cell service. To be eligible to participate, we each must raise at least $5,000. This journey will not be easy. I will be preparing physically and mentally for months and will be covering my own travel costs. Each dollar we raise and every step we take will make it easier for women and children to walk safely away from violence. For the past 3 years, on Good Friday, I have been organizing the Burke Mountain Community Easter Egg Hunt. It is a grassroots community event that brings neighbours, friends and families together to mingle, meet and hunt for chocolate! We have seen over 1,200 kids and their families come out to support the community, as well as local business and community leaders. In 2016 this event raised over $5,000 for the Royal LePage Shelter Foundation, and in 2017 we are expecting an even bigger turnout! Statistics tell us that 50% of Canadian women have experienced abuse and 360,000 children witness domestic violence each year. Women’s shelters provide a safe haven for those who need it most. There are 200 shelters across Canada supported by their local REALTORS®. These shelters make a lasting difference in the lives of countless families. Funding has helped create art therapy programs for children, build a memorial garden, develop job training programs and cover the costs of food, therapy and much more. Find out more about creating safer homes and safer communities at www.royallepage.ca/shelter.